Leo I AE4. 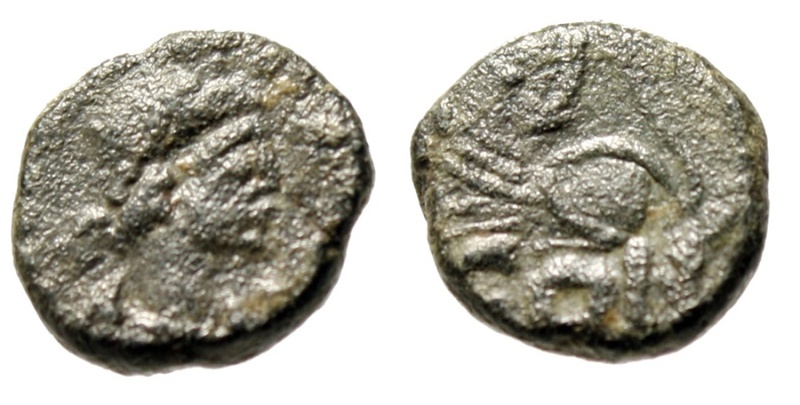 Constantinople Mint 457-474 AD. Obverse: D N LEO P F AVG Diademed, draped and cuirassed bust of Leo right. Reverse: Lion crouching left, head reverted; all within wreath; CON in exergue. References: RIC 673 Very Rare. Size: 10mm, 1.20g. Numismatic Notes: A rare type with a clear mintmark!